What is Smart Grid Testing? One of the cornerstones of NTS’ work in smart grid has been our certification program for the ZigBee Alliance. One of ZigBee’s largest and most popular application profiles is the ZigBee Smart Energy standard. NTS is the largest certifier of all ZigBee products, and has completed certification for over 85% of the Smart Energy products certified by the ZigBee Alliance. We have developed test tools to assist in the pre-certification of new devices for manufacturers, as well as validation of devices for utilities. In addition, NTS also has been selected by USNAP to perform certification testing for smart appliance manufacturers. What is ZigBee Smart Grid Performance Testing? RF signal propagation — Insufficient signal strength is the most common cause of smart grid system failure. A device’s final RF characteristics can be influenced by a number of factors, including the placement of chips on the circuit board, its housing materials and more. Accurate smart grid performance testing must take into consideration all of the repercussions changes to these and other design elements can have. End-to-end registration — Registration of individual devices on a smart grid system is prone to errors when those devices conflict with network security requirements. Our research indicates that thorough end-to-end testing at all stages of the deployment process can reduce the risk of errors by up to 10%. Interoperability — Smart grid interoperability testing takes into account the wide range of conditions encountered during real-world conditions. System failure can be caused by different date and time configurations, input errors and other common occurrences. To be truly effective, ZigBee testing must replicate all these potential issues. Loss of power/network recovery — The ability of a smart grid system to respond to power and network outages is critical to its functionality. Making sure device settings and network information is retained during service interruptions is an important part of ZigBee testing, one that must be fully evaluated across a range of potential situations. Functionality — Device functionality is often overlooked during the ZigBee smart grid performance testing process. 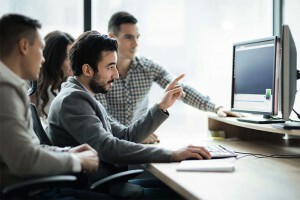 While it’s important for the system as a whole to be deployed according to ZigBee specifications, failing to prioritize the basic usability of individual devices is a critical error. During the course of smart grid interoperability testing, we are often able to uncover errors that have been overlooked at other stages of the QA process. What is Smart Grid Performance Testing? NTS is also an expert in the area of wired and wireless metering network testing, and smart energy device testing. Our skills allow us to test intelligent thermostats, smart outlets, smart meters, etc. using ZigBee, IEEE-802.15.4 and its derivatives, like Thread. In addition, NTS has extensive experience in testing products with Wi-Fi, Bluetooth, HomePlug and a host of other wired, wireless, and powerline communication standards. Before you release an in-home display or smart meter or smart appliance, let us help make sure it meets the necessary standards. In fact, we can go beyond the standards to test areas that may be borderline, but problematic on large roll-outs. NTS also has an interoperability lab set up and configured to allow you to test your products with various back-ends, smart meters, in-home displays, etc. to get a better understand of the real-world into which your device is being released. Performance testing of the products, interference with common household products, interoperability with other Smart Energy products, and peaceful co-existence with other technologies (e.g., ZigBee, Z-Wave, Wi-Fi, Bluetooth, HomePlug, etc.) are just some of the areas that can be tested. Before and even after you roll out your Smart Grid, you’ll be glad to get some real performance measurements for your network and devices. NTS can assist with the development of custom test tools and automation suites. We have staff fluent in a variety of programming languages, as well as automated tools. With our experience, we can design and develop a full system – handheld or desktop – which you can use for validating installations, as well as maintenance. Sometimes the best way to make sure your product is going to work correctly is to try it out in the field to see how it would work once rolled out. With our experience in running a variety of field tests, NTS can assist in making sure that the products actually work in the homes of your install base/market. We can also perform building material testing to evaluate (in a more controlled environment) the impact of homes built of drywall, brick, etc. may have on the meter and/or devices. Does the thought having to setup a lab, including the hiring of workers, creation of tools, development of test scripts/cases, etc. make your head spin? 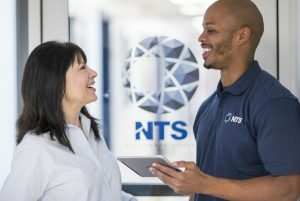 NTS can help with both the setup, development, and management of a test lab designed specifically to help you qualify products prior to deployment. We can also help you simply in the selection of equipment necessary to perform testing, such as our NTS SETest test tool. How would you like a logo program specifically designed for the purpose of product qualification and acceptance prior to deployment? NTS can setup a program to validate smart grid products before you let them onto your network, or we can just run a test plan that you’ve already developed. Let NTS run a custom logo program, based on our discussions with you and our industry experience, to test Smart Grid/Smart Energy devices prior to rolling them out. We’re already running similar programs for Pacific Gas & Electric (PG&E), as well as San Diego Gas & Electric (SDG&E). Let us filter out the poorly designed products before you waste time reviewing them. NTS-AT has the ability to test to many of these standards to help you verify your products are compatible with the NIST/SGIP Framework 2.0 (and upcoming revisions). Contact NTS today to find out about these and other smart grid testing services which we offer.